My father, Philippe Bieler, began making rosé in Provence almost 30 years ago. This early influence left an indelible impact on my own path and laid the foundation for my life’s work. To make rosé alongside my father in today’s world, when the category has finally come into its own in America, is truly a gift. 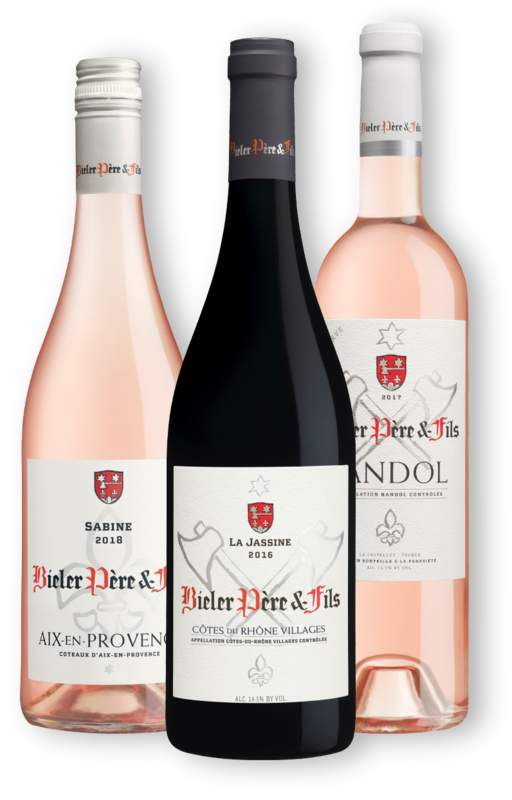 As winemakers around the world attempt to mimic the classic Provence style of rosé—and for good reason—our aim is always to strike a delicate balance between floral tones, herbal notes, acidity and wild red fruit. The wine naturally is a beautiful balance between red fruit and acid structure, without either element overpowering the other. Savory and citrus notes are framed by a mineral core. Rosé from Bandol is typically fuller and more substantial than rosé from the rest of Provence, and ours is no exception. With the vineyards a mere stone’s throw from the Mediterranean Sea, there’s a bead of salinity in this wine that gives way to interwoven aromas and flavors of savory herbs, cherry, blood orange, almond and black licorice—all held together by a backbone of vibrant acidity. This blend of classic Rhone varieties, Grenache and Syrah, is beautiful on the nose with dark berry fruit and spice aromas, framed by classic Provence notes of rosemary, thyme and sage. A rich palate is underscored by soft, round tannins.